Browse our collection of fantasticly unique yellow fabrics. All our furniture is made in Britain. Shop online or pop in store. Whether shades of primrose, ochre or gold appeal to you, a fun and fresh yellow sofa is the ultimate item for on trend interiors. Imagine your home with the addition of a citrine chesterfield sofa, bursting with statement style, or perhaps a perfectly practical mustard yellow sofa bed for surprise stopovers. Squashy yellow corner couches are just the ticket for family time or choose an armchair in amber hues if you fancy just a splash of colour. 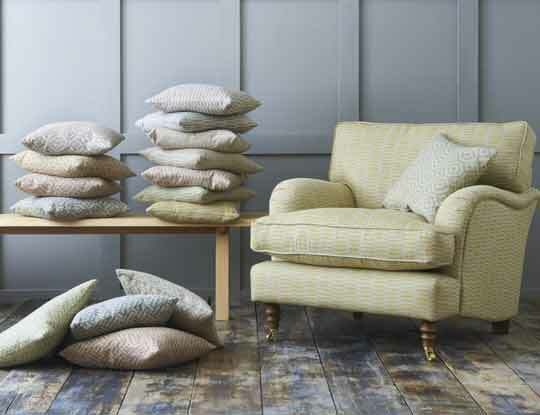 Whether you’re looking for contemporary settee or a more traditional piece of furniture, there is a shade of yellow fabric to suit all interior tastes. Any of our bespoke British sofas can be covered in your favourite tone and with expert advice available in both our showrooms and online you’re sure to find exactly what you’re looking for. 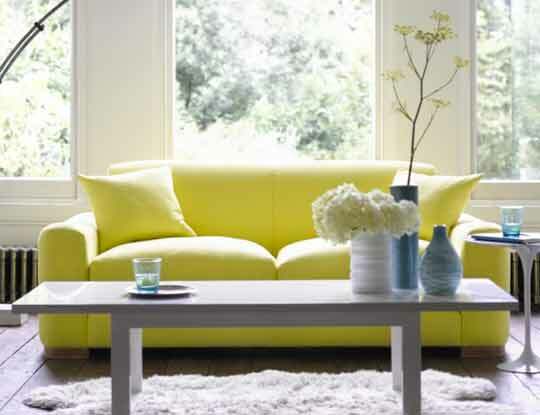 The yellow sofa has long been a staple in stately homes and countryside dwellings. But over recent years, more and more people have been livening up their living rooms with a yellow settee, which wouldn't look out of place in even the most stylish of London pads. The colour yellow has always been synonymous with life, fun and happiness. So perhaps it is little wonder why so many people are now choosing these yellow fabrics to upholster their couches in. On the back of the popularity of these fabrics, S&S have created our very own yellow patterned fabric and we have called it Cloth 18. Browse online and check out what it looks like, we think you will love it just as much as we do. If you need to touch and feel, then why not pop into one of our 12 Nationwide showrooms. Where you can book an interior design consultation, which is an individual 1 hour slot with one of our design consultants, where we will guide you through creating your perfect sofa. Why not order some free yellow fabric samples pack, so you can see the high quality fabrics we offer.